Last chance to see some of our Ice Age treasures as we say a fond farewell for a few exciting years building our new Museum Hello Future! The ancient worlds galleries will close at the end of September 2018, as we transform into a natural history museum during the building work. 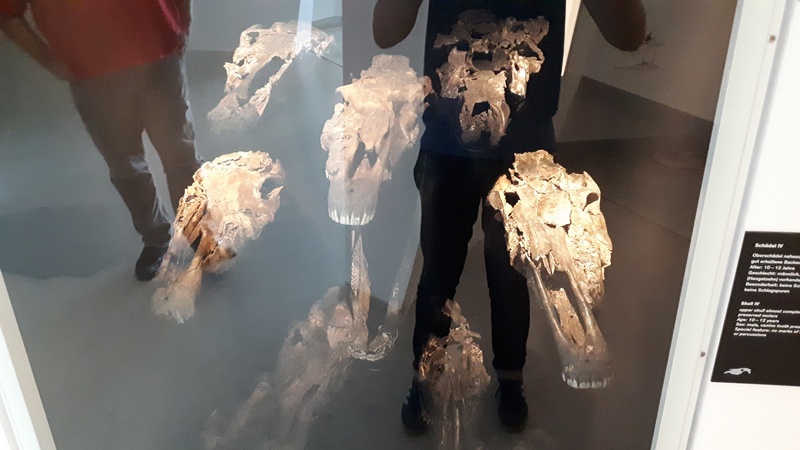 British Ice Age fossils including mammoth, hyena, bear and hippo formed the core of the Museum’s collection in the 1880s and 1890s when sites such as Creswell Crags were being excavated. 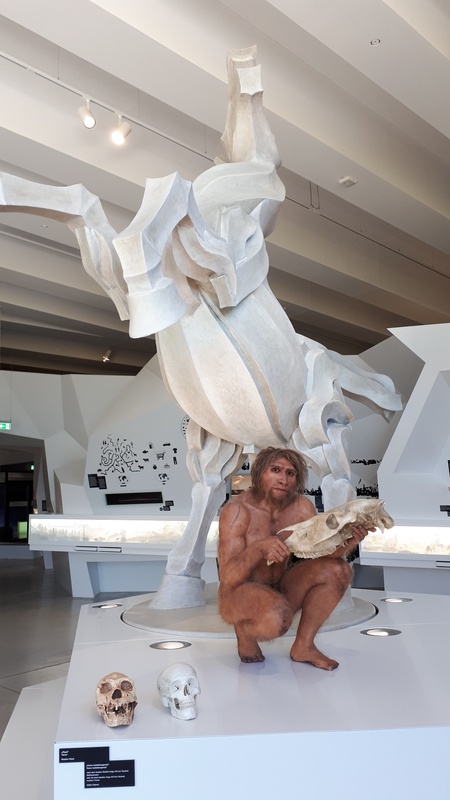 They have been key to understanding where and how Neanderthals and other early humans lived in Britain during a period of rapid climate change during the Last Ice Age around 200,000 years ago. 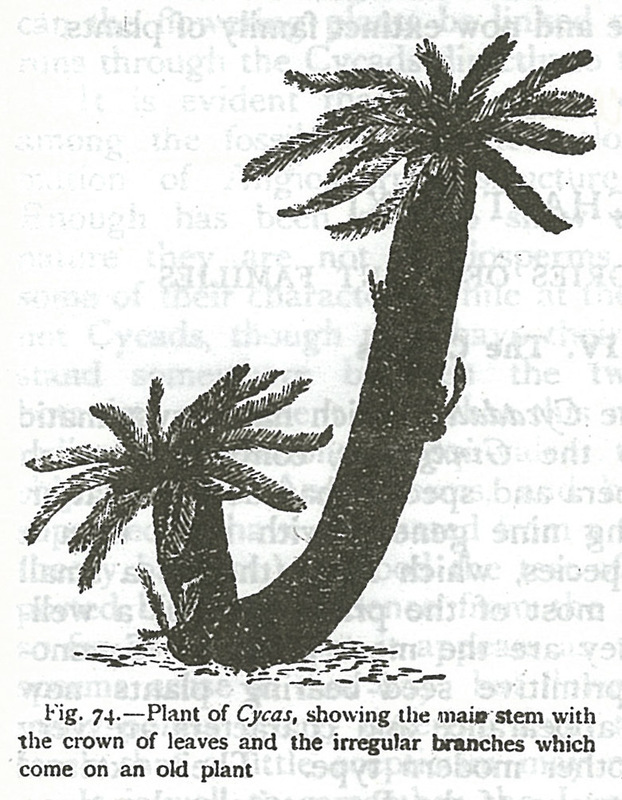 They continue to help us understand how our climate changed in the past, how people adapted and survived as animals migrated in and out of Britain and how we might adapt to future climate change. 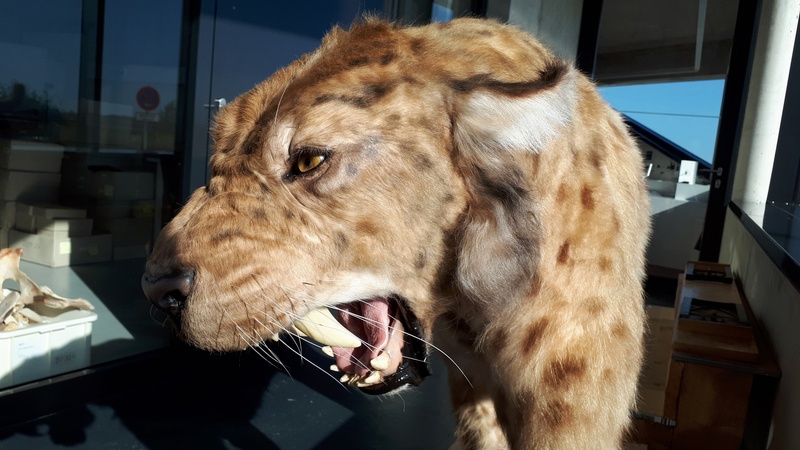 Although some of our Ice Age Treasures will be resting from display for the next few years, they are still available by appointment and we still have our fabulous Fossils Gallery open as usual alongside a host of exciting events. Exciting times ahead! 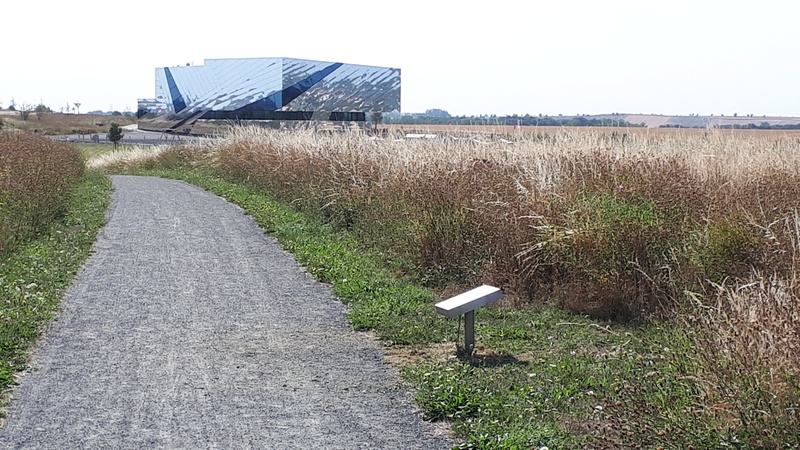 I have just returned from a really interesting visit to the Palaon museum and Science Centre, Germany. 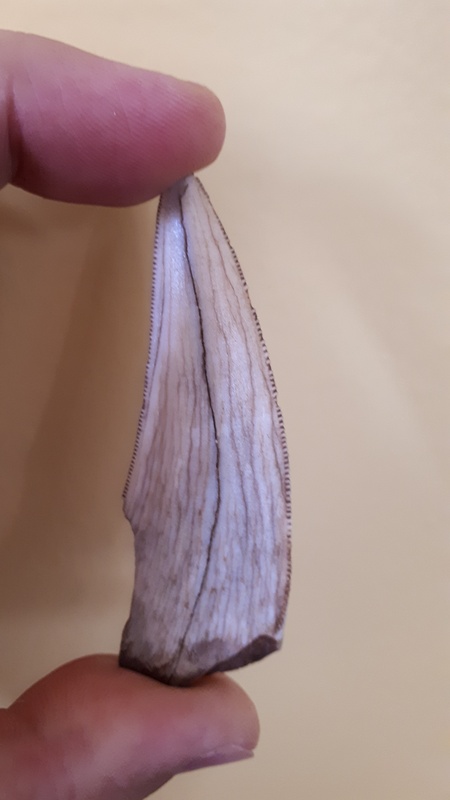 We had loaned them our Sabre tooth cat tooth (now classified as a scimitar toothed cat) found at Creswell Crags for their Cats exhibition which has recently finished. The tooth is a really important part of the story of the last Ice Age in Europe as one of the northern-most records alongside Neanderthal remains. It’s been great to loan it out so a new audience can see it and share Manchester Museum’s amazing Ice Age fossil collection. It was also a great opportunity to see an amazing new museum, particularly has we are changing to becoming the UK’s most imaginative, inclusive and caring museum: hello future. 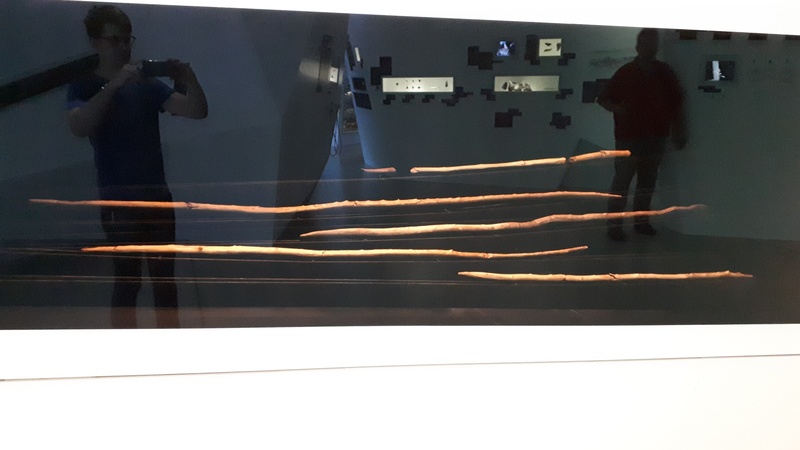 Palaon is famous as the site where the worlds oldest wooden weapons and tools have been found. They are around 300,000 years old and were preserved in anoxic lake sediments above what is now an abandoned open-cast coal pit. 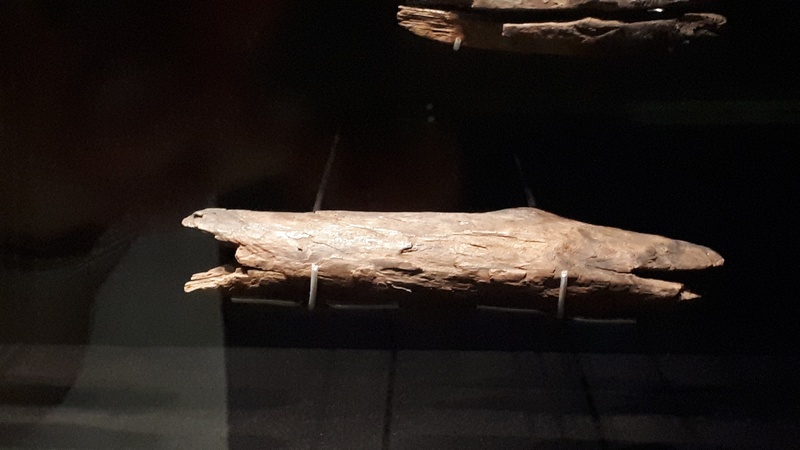 Not only are these incredible tools preserved when they would usually have rotted away, but there is an incredible array of amazing Ice Age animals preserved too. Everything from lions to spectacularly preserved horses that the Neanderthals had been hunting 300,000 years ago. I’d describe Palaon as a mix between Creswell Crags, La Brea Tar pits and the Guggenheim. An incredible mix of world class collections, a stunning building and amazing museum, well worth a visit. Marie Stopes was the first woman science lecturer at what is now the University of Manchester. She went on to be controversially a sexual revolutionary and birth control pioneer. We’ve recently discovered this unsigned water colour, found in the Botany collection at Manchester Museum, which may also be her work. 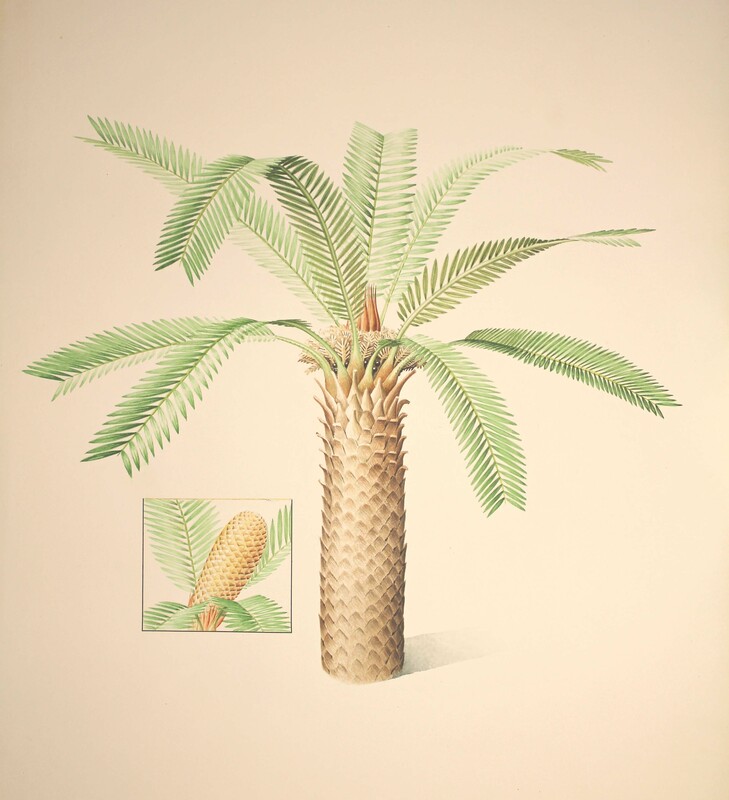 Cycad painting possibly by Marie Stopes. It shows some differences from her illustration above, but dates from the time Marie Stopes was working at Manchester University. Most people are familiar with the dinosaur Velociraptor from the blockbuster film Jurassic Park. Represented in the film as a scary reptile, our understanding of Velociraptors are transformed by a recent discovery. 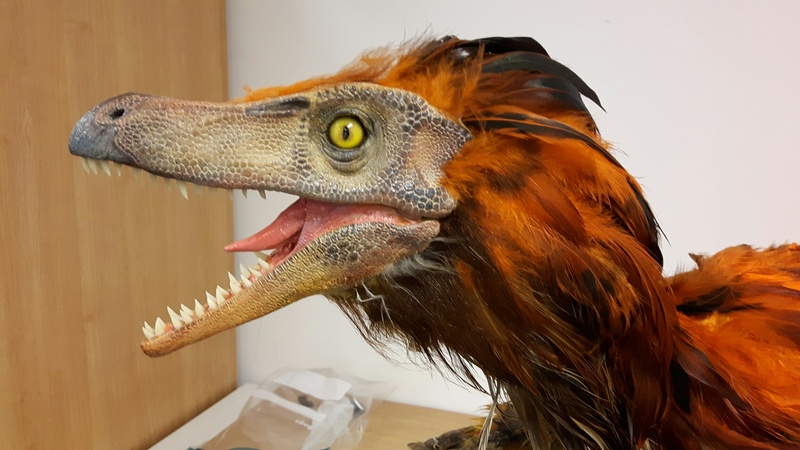 Palaeontologists have recently found a close cousin of the Velociraptor that lived in China 125 million years ago showing spectacular preserved feathers. Named Zhenyuanlong suni, the fossil remains of the dinosaur suggest it is unlikely it could fly evidenced by the size of its wings and its feathers were probably used for display. 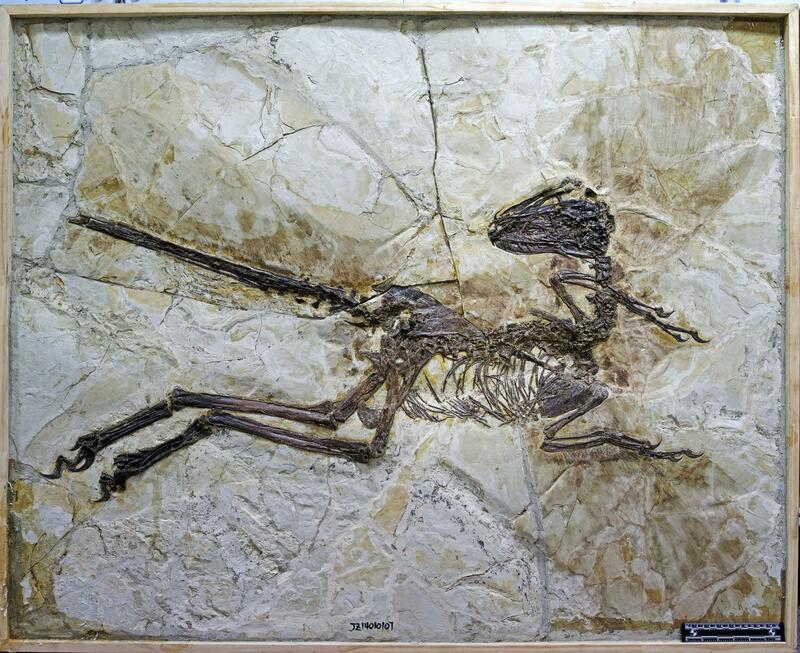 The discovery of Zhenyuanlong suni is important because it changes our understanding of what dinosaurs looked like. Manchester Museum, part of the University of Manchester has the model on loan from Studio Liddell. Created by Peter Minister, the new model now on display, shows how our view of dinosaurs has been transformed. 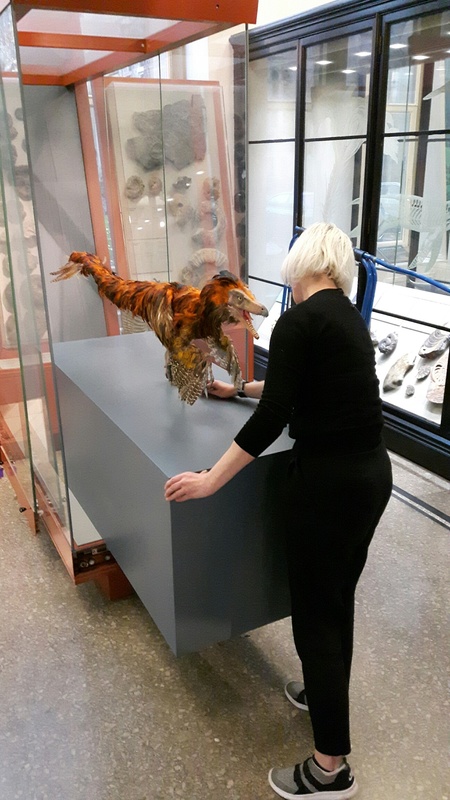 The model of the Velociraptor is a taster of what is to come as Manchester Museum prepares for a blockbuster dinosaur exhibition. This is part of a new exhibition programme which is being planned as part of the museum’s expansion titled The Courtyard Project. Subject to funding from the Heritage Lottery Fund, work will commence on The Courtyard Project in August 2018 and will comprise of a larger temporary exhibition space, new entrance, improved visitor facilities and a South Asia Gallery in partnership with The British Museum. We hear about climate change on the news and in the newspapers. How the ice caps are melting and how it is happening now. What can we do about climate change, individually and collectively? Is it too late? Is there any point trying? What do people want to do? Climate change is happening all around us, but this isn’t the time to ignore it, it’s the time to get really creative. What thoughts or ideas do you have? What do you already do in your day to day life, and what might you think about doing? The program is part of European City of Science, developed with Manchester University’s Tyndall Centre and Manchester: A Certain Future. 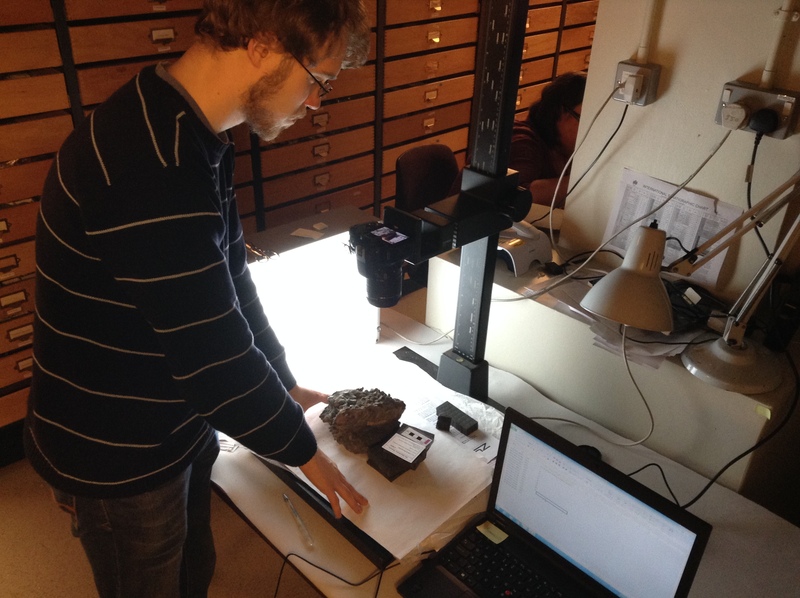 We’ve just installed a fantastic new meteorite handling table and video. The objects include pieces of the Moon and Mars which you can actually touch. Paige Tucker has put together a great video of me talking about the meteroites. This project has been in partnership with colleagues at the Open University and was funded by an EPSRC public engagement grant. 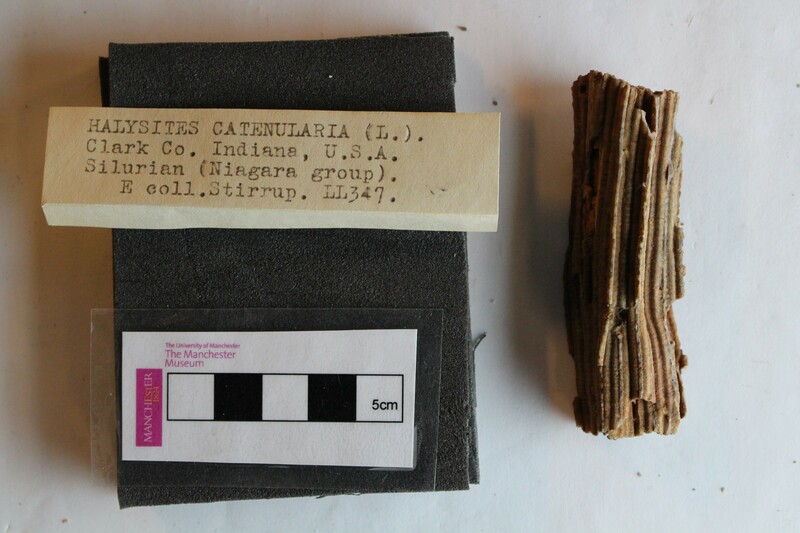 We have a fantastic new Citizen Science project to record our fossils called Reading Nature’s Library! The idea is to put lots of photographs of our collection online so that anyone can help us record the information. It’s really easy to do and helps make the collection available to everyone. So please have a go! There is a leader board and you can share your images with friends and family. Some are more tricky to read than others, so we have included a help option via social media. This project has been put together by a brilliant MSc student from the School of Computer Science Rob Dunne. We have a team of volunteers who are working really hard to photograph our fossils and we hope to put other collections online very shortly. Reading Nature’s Library is part of our new hands on collections gallery The Study which opens in September.